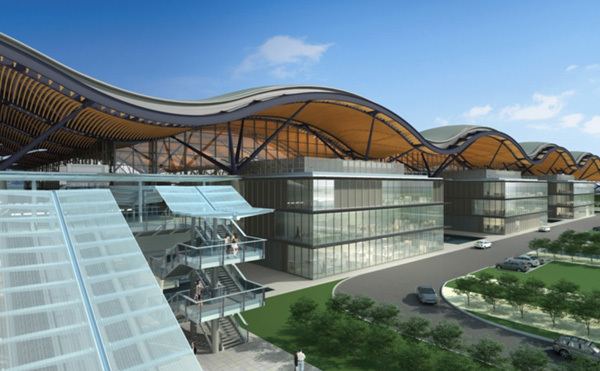 The HKBCF will serve as a transportation hub and provide clearance facilities for goods and passengers respectively using the HZMB. 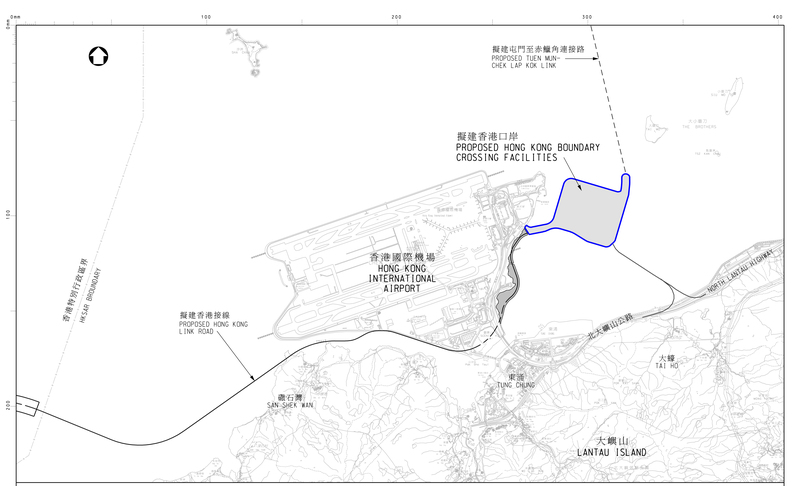 The proposed HKBCF will be located on an artificial island of about 150 hectares (including about 130 hectares for HKBCF and about 20 hectares for Tuen Mun – Chek Lap Kok Link (TM-CLKL) southern landfall) reclaimed from the open waters off the northeast of the Hong Kong International Airport (HKIA). 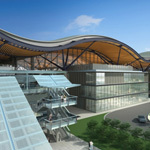 Geographically, the HKBCF will be at a convenient location with good transportation connectivity as it is next to the HKIA and near Tung Chung new town. 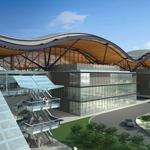 With a variety of transport means including HKIA, SkyPier, Airport Express Line and Tung Chung Line available in the proximity, the HKBCF will become a transportation hub in the area. 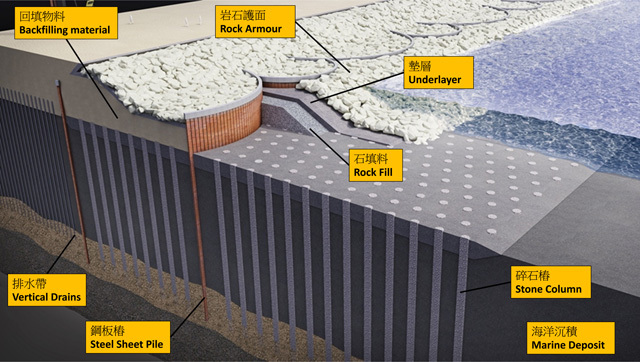 The synergy effect will be considerable and helps benefit Hong Kong's overall economic development. 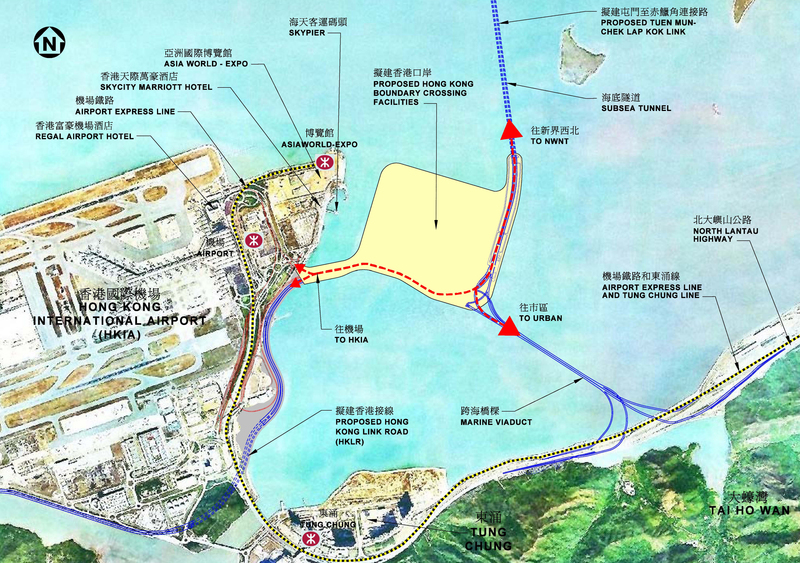 The HKBCF is linked by the HKLR, the TM-CLKL (in the north and southeast) and the roads leading to the HKIA. The road traffic of the whole area will be well connected since HZMB vehicles can use another route in case any one of them is not available for whatever reason. 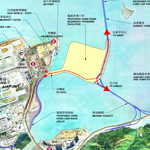 The traffic at Tung Chung new town will also be improved as traffic can use the southern connection of the TM-CLKL to bypass Tung Chung new town. 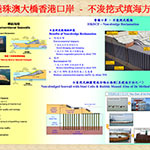 Reclamation of about 130 hectares to provide land for the development of the HKBCF. 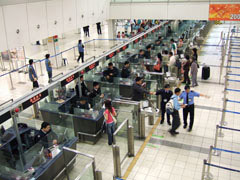 The construction works of the HKBCF include cargo & passenger clearing and vehicle inspection facilitates, offices for frontline departments (such as Immigration Department, Customs & Excise Department, etc), road networks, public transport interchange and associated civil, traffic control surveillance system and landscaping works, etc. We are dedicated to design the HKBCF as an innovative, aesthetical pleasing, energy efficient and sustainable infrastructures in Hong Kong. 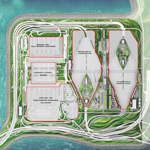 Various buildings and facilities will be built on the artificial island, including a passenger clearance building, a customs and immigration building, sewage treatment facilities, etc. 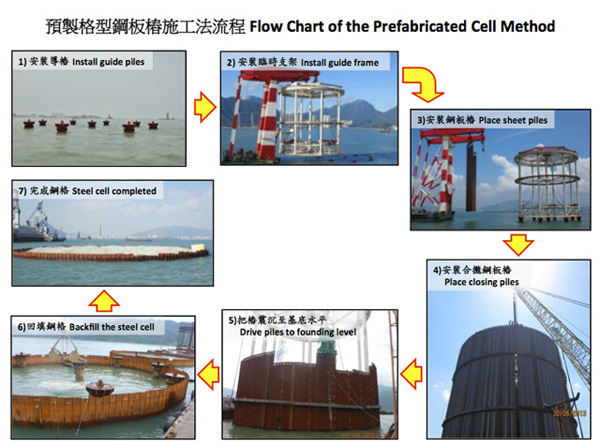 Being a landmark of the HKBCF, the passenger clearance building will be the largest among all structures in the artificial island. 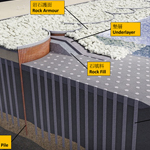 The Legislative Council Finance Committee approved the increase of Approved Project Estimate of PWP Item No. 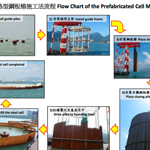 6845TH "HZMB HKBCF - Reclamation and Superstructures" from $30,433.90 million to $35,895.00 million (in MOD prices) on 30 January 2016 for its construction.